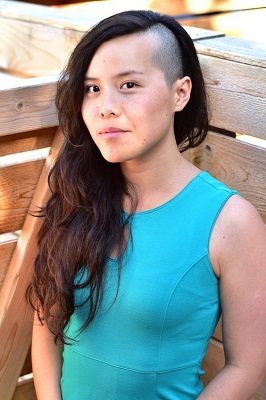 Seattle-based fiction writer and poet Kim Fu, who hails from Vancouver, is here tonight for the release of her brilliant, just-published second novel, The Lost Girls of Camp Forevermore (Houghton Mifflin Harcourt). 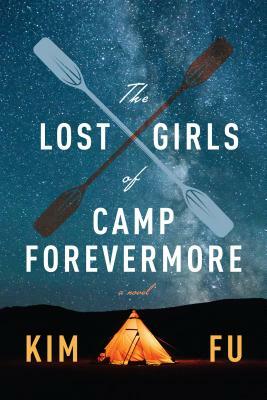 This coming of age novel tells the stories of five girls who are at a sleepaway summer camp here in the Pacific Northwest, as they go on through life in the years following. “A sensitive, evocative exploration of how the past threads itself through our lives, reemerging in unexpected ways. Kim Fu skillfully measures how long and lousy one formative moment can reverberate.” - Celeste Ng. Also on hand tonight, in addition to her well-received debut novel, For Today I Am a Boy (winner of the Edmund White Award for a first novel), is her highly-praised first book of poems, How Festive the Ambulance (Nightwood Editions). "Fu’s playful, lyrical, and cutting, debut poetry collection is a dizzying display of styles and scope. Its voice is both consistent and utterly brilliant across five distinct sections. Fu moves from discussions of the mundanity of mythological beings to the vagaries and explorations of youth, dives deep into dissections of aging and decay, and always stays grounded in the surreal, the absurd, and a most vicious wit ... Fu’s work engages contrariness of spirit in tragicomic terms, and her meditations on violence, family connection, sexual connection, and death in its myriad forms and connotations—the latter alone moving from literal to metaphorical to sexual with conjurer’s ease—are exquisite to behold. The book is eminently quotable and shockingly accomplished. Everything within warrants praise." –Publishers Weekly.